An NBC Universal bid for Sky TV probably would get past the Commerce Commission and the Overseas Investment Office legal experts say. But a wider mooted deal, whereby the US giant tried to buy Sky TV plus MediaWorks would likely hit a brick wall. An industry source tells the Herald that NBC Universal has kicked the tyres at Sky, and may even have moved to a due diligence phase. NBC Universal's parent, Comcast, recently bought Sky TV in the UK and is said to be circling the Seven Network across the Tasman. NBC Universal is said to be looking at both Sky TV and a wider deal that could see it also pick up MediaWorks. "I can't see any problem with NBC Universal buying Sky TV or MediaWorks, but the problems with buying both would be insurmountable," regulatory law specialists Michael Wigley says. Overseas Investment Office solicitor turned overseas investment specialist Catherine Reid indicates the deal could proably be approved by the OIO "inhouse" without going to cabinet. Sky is currently facing an insurgency from Spark, which outbid it for Rugby World Cup 2019 rights, English Premier League football rights for the next three seasons, and could pick up Formula One rights (which Sky says it has lost; the new local rights holder has yet to be named). While Sky and Spark are, broadly speaking, quite evenly matched in terms of financial resources, NBC Universal are part of the US$163b market cap Comcast conglomerate. Could Comcast's financial muscle see Sky get back on the front foot, or even restore its near-monopoly on top-flight sports. Competition lawyer Andy Matthews says the "deep pockets" argument as not traditionally washed with the Commerce Commission, however. Sky TV's core strength is its rights to A-lsit NZ sports, Matthews says. Its capital resources aside, Comcast would not add anything on that front that would diminish competition. A "deep pockets" argument against Comcast probably wouldn't work, competition lawyer Andy Matthews says. There would be no equivalent to the mooted Vodafone takeover of Sky TV, which was seen as allowing the telco to leverage the broadcaster's near-monopoly on rugby to extend its reach in the phone market. Matthews says it could be argued that NBC Universal had the ability to negotiate multi-country deals, which it could use to leverage cheaper content deals than TVNZ and Spark with their single territory deals. However, the company could probably make a market efficiency argument and say savings from such deals would be passed on to consumers. The consumer welfare test can be trick to gauge, Matthews says. More players can mean more innovation, but not necessarily more competition. A case in point is in the UK, where football rights split between Sky TV UK, BT Sport and Amazon - meaning fans have to subscribe to all three services to watch every top-flight game. "In relation to content beyond sport, there is vigorous competition and Sky is not in not in a good patch of its lifecycle," Matthews adds. And while Sky once had a paid video content monopoly of sorts through buying up most available satellite capacity, the rise of internet streaming means there are now multiple distribution platforms. "Sky is not in a good patch in its lifecycle," he says. Our experts see a NBC Universal play for Sky TV and MediaWorks, on the other hand, as clearly diminishing competition in the free-to-air television market - and more so in the current environment. Wigley says that if Sky TV tried to get its Prime TV deal through today, it would get blocked. 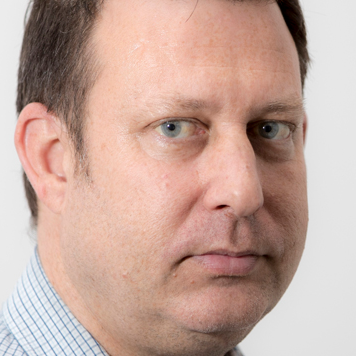 Regulatory specialist Michael Wigley says an NBC Universal bid for Sky TV or MediaWorks would probably get past the ComCom, but that a bid for both would face insurmountale problems. Catherine Reid - a former solicitor with the Overseas Investment Office turned independent overseas investment specialist - indicates an NBC-Universal deal for Sky and/or MediaWorks would probably gain OIO approval. She says NBC Universal would have to pass business acumen, financial commitment and good character tests under Section 18 of the Overseas Investment Act (the latter applying to Comcast's board and senior management). If it passed all three - and there's no indication it could not - then the OIO could probably make the decision "inhouse," Reid says - OIO jargon for not referring a decision to cabinet. Reid says the most difficult test Section 18 test, a clear benefit to New Zealand, only applies of purchases of sensitive land. The overseas investment specialist says while in theory the purchase of a significant business asset could be sent to cabinet for approval, the OIO's established practice is to keep business asset decisions inhouse. Block business asset deals have been rare full stop. In the most recent example, when ANZ was barred from selling its UDC unit to China's HNA Group, it was because the OIO could not determine the ultimate ownership of HNA and who controlled the group, Reid says. Comcast, by contrast, is listed on the Nasdaq with a public share register.